Dream Big Fabric Banner. 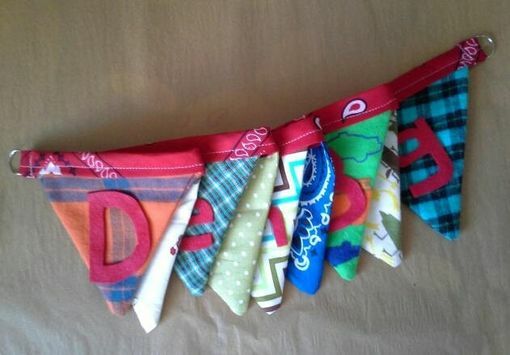 Nursery Or Home Decor Cloth Pennant Bunting. 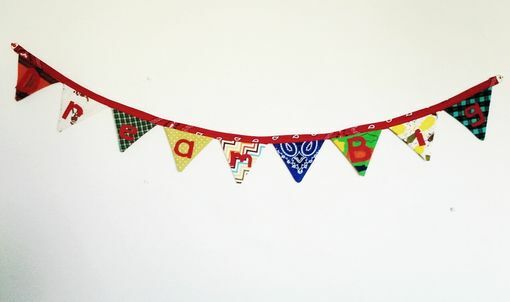 Handmade fabric bunting made with cotton vintage and new fabrics, 'Dream Big' is hand cut using red eco friendly felt. 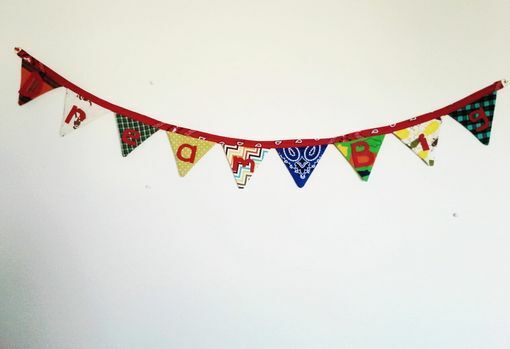 Perfect for a nursery or kids room. 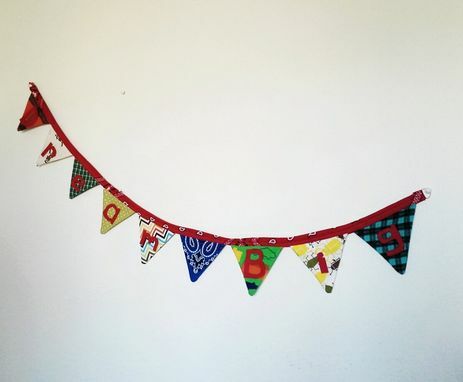 Flag fabrics are in a variety of greens, blues, orange, and white plaids and print, with a red bandana print binding at the top. Measures 52 inches long, each triangle is doubled sided and measures approximately 5 inches long and almost 5 inches wide at the top. Metal rings on each end allow for easy hanging. Would you like a different phrase or name instead instead? 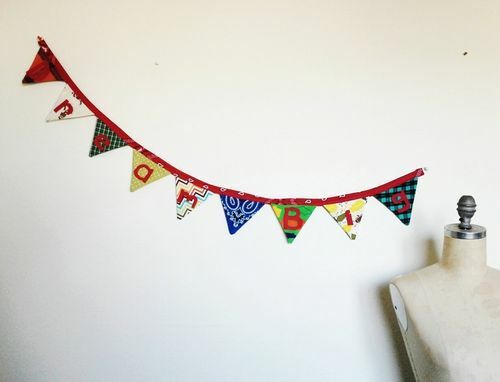 I would love to make you a custom fabric bunting for your nursery or play room. I will customize a cloth banner just for you- please let me know your baby's name and the colors and/or theme of your nursery. And please feel free to message me with any other questions. Thanks!